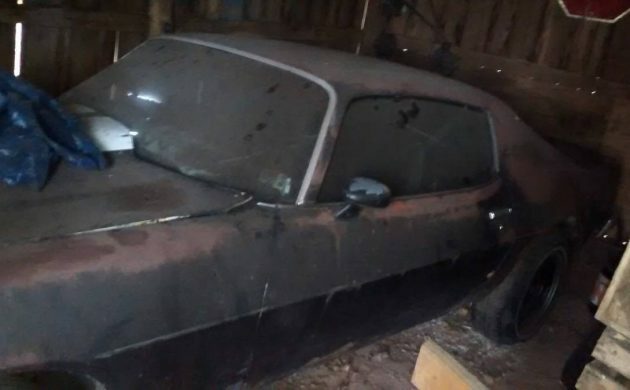 This 1974 Chevrolet Camaro is a Barn Find that you will find listed for sale here on Craigslist. Located in Belleville, Pennsylvania, it is offered for sale with a clean title. The seller has set a price of $3,500, but it does appear that they may be inclined to consider a trade. Whoever buys this is facing a pretty substantial restoration project. The photos aren’t the best, but from what we have we can see that there are some major issues with rust around the rear wheel arch on the driver’s side. 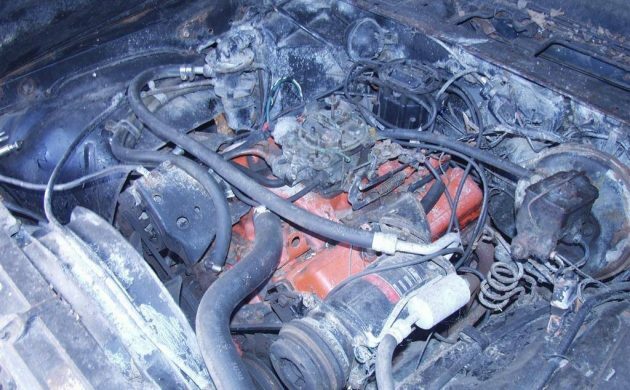 It is hard to tell if there are any other rust issues, and the seller doesn’t give much away in his description. 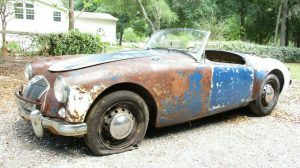 We can see that the paint is pretty bad and will require some pretty major time and effort to prepare the car for a new coat of paint. It’s hard to tell much about the interior apart from the fact that it will at minimum require a really good clean. 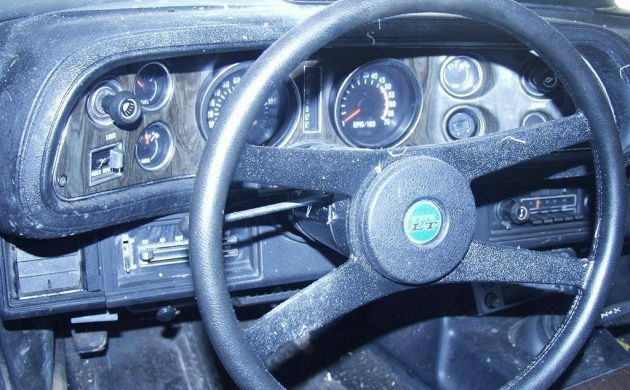 The dash appears to be complete and one of the things that I actually find really encouraging is the general condition of the steering wheel. It doesn’t seem to exhibit the level of wear or deterioration that you might expect from a wheel that has been exposed to harsh sunlight, so hopefully, that’s an indication that the rest of the interior is pretty reasonable. I also find it encouraging that what little we can see of the dash pad appears to be uncracked. Hope springs eternal! Under the hood is the 350ci small-block backed by a 4-speed manual transmission. The car is also fitted with air conditioning, but there is no mention as to whether this works. We know that the car runs and drives to a certain extent. Here’s a YouTube video where you can hear it and see it move under its own power. 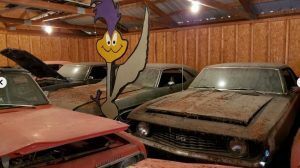 It sounds like it is in desperate need of a tune-up and a new exhaust, but in the clip, it isn’t belching plumes of smoke, so it may be okay? One thing that appears to be apparent from the video is that the car will certainly need new shocks because it certainly bounces when it’s on the move. If someone takes this Camaro on then I think that they will be in for a fair old project. The rust around the rear wheel arch is pretty ugly, and we have no idea what lurks below the surface. 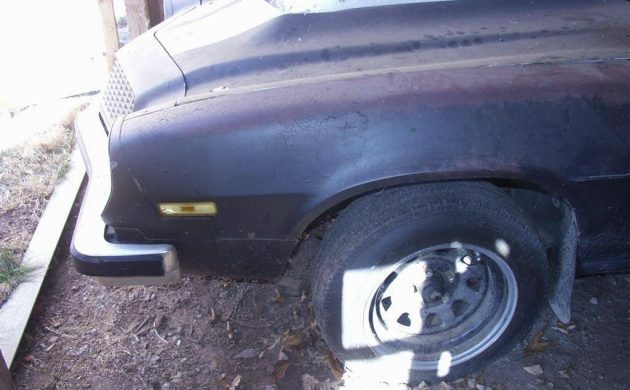 Even though we know that it runs and drives, it is what lies hidden underneath that will determine whether or not this Camaro represents a viable project. It would be fascinating to see if this was built pre- or post-Arab oil embargo. By the 1974 model year muscle cars were fading due to insurance and environmental legislation. I always wonder if there is a reason sellers take the ads pictures in a dark confined space, especially when the car runs and drives. It’s nice that the car is a 4spd, but if it’s a Saginaw it will likely be added to the list of things that need replacing if this car will be anything other than a cruiser when finished. They are all Saginaw after 71 except for high horse cars like the super duty trans ams and yeah it’s only good for a paperweight.They are not even strong enough to handle a stock 350 so I would toss it regardless.The muncies were only marginally stronger except for the M22s.I seen so many of them scattered in the 60s it was awful..Many a turbo 400 replaced them. 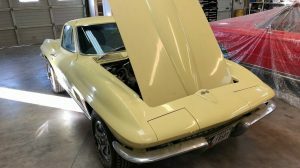 What about the 4 speed behind a 454 v8 on ’72-4 corvettes? Having once owned a factory stock ’70 1/2 Z-28 (350 LT-1, M-22 Rock crusher, 202 heads w/ pop-up Pistons and a lobey cam) Camaro; I can not help but feel a small surge of adrenalin running through my veins, contemplating the possibilities of this particular 350 LT and 4spd. combination…A true project at a reasonable asking price. I had a 69 rally z28. My buddy had the 70 1/2 and it was a sweet car with a built 396 four speed . 67-73 was the sweet spot years for me ! Yep, I had a 70, 427 4 gear, 4:11 rear, THE fastest car I ever drove ! It needed plenty of work and I hope that the guy that bought it puts in the time ! Had a 64 Chevelle with 4 speed Saginaw. Could not get out of its own way. Slow. Might as well have been dring a bus. 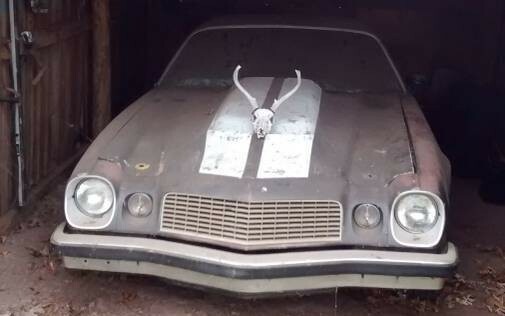 No comment on the jackelope skull on the hood in the first photo? You guys are off your game today! Look this over real good before making a bid. Make it Solid, subframe connectors, 12 bolt or 9inch rear, stroker kit and Good heads & roler cam kit . Or just LS it from a donor car. Good luck to the new owner and seller. I owned a 77 LT with the 350 4 bbl and 4 speed. Put over 100k miles on it. Not a performance car in any sense of the word. Look closely either the instrument cluster has been changed out of an automatic car into this car or someone converted this car from an automatic to a straight drive car. The gear selection indicator for automatic transmission is between the speedometer and tachometer in the instrument cluster. Potential buyers be aware.